New Arabic font designed by Jozoor Team , working on Mac, Windows and Linux Ubuntu . you can download it now from here : ..
Ramadan Fonts 5 Arabic fonts for using it in your designs free from " Jozoor Team " .. Enjoy ^_^ you can download it now.. 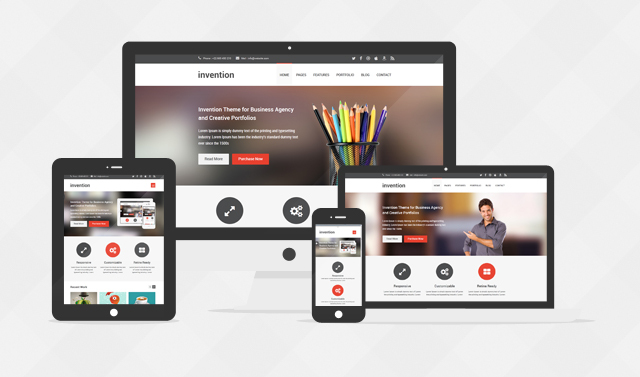 Invention is awesome and creative responsive HTML5 template created for corporate, portfolio and business websites. It is a very simple, clean and professionally..
We have designed and adoption of the new brand, in order to be a strong start for us to provide more business deals,..
Crevision is a creative responsive Wordpress Theme created for corporate and portfolio websites.It is a very simple, clean and professionally to view showcasing..